Tired of the long queue during lunch hour and having to rush through the meal? From 1 – 18 April, beat the queue and don’t have to “chope” your seat! 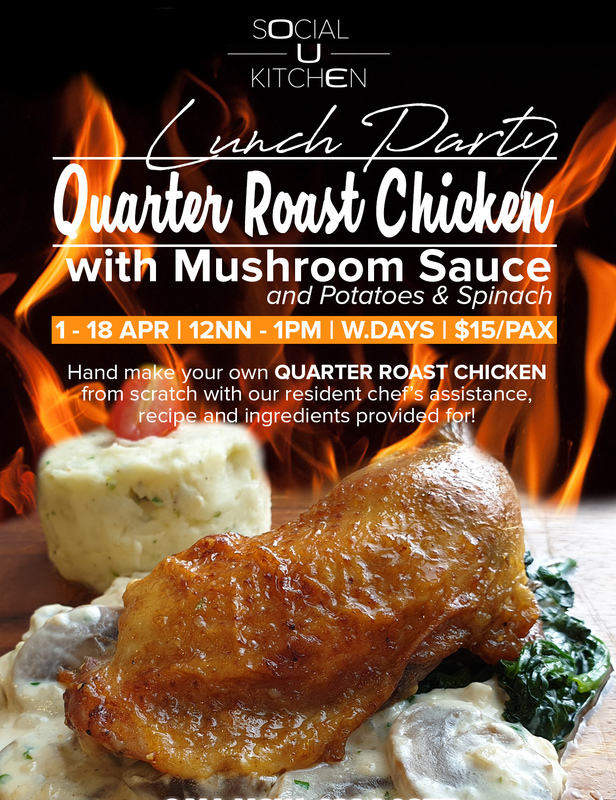 Simply head over to OUE Social Kitchen and cook your own Quarter Roast Chicken with Mushroom Sauce! Recipe, ingredients, and guidance from Resident Chef all provided for! Get a chance to win 2 hours usage of VIP room 2 worth $216/-! Simply share your creation and tag us on FB/IG during the weeknights (#ouesocialkitchen). Winner will be announced on 1 MAY 2019.